The Silver Dollar Fairgrounds is a great affordable and convenient option for participants wishing to stay the night in Chico. The fairgrounds facilities include flushing toilets and showers as well as power options. Pets are allowed, but must be on a leash and attended to at all times. Reservations for Non-Hook Up Camping and Hook-Up Camping are strongly encouraged and you can Reserve your Spot HERE or when you REGISTER. Camping location is based on a first come first-serve basis. Camping reservations can be made on site as well. Although we have plenty of space available, you'll want to arrive as early as possible to secure a good spot. Only the North Entrance will be open. Camping reservations will be checked daily. 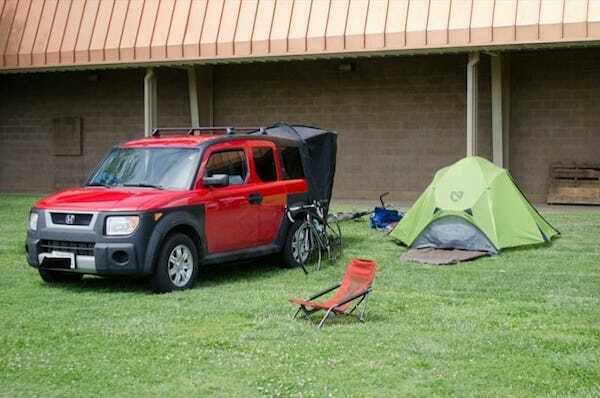 Camping is charged by tent, vehicle (if camping inside vehicle) and each hook-up vehicle. Go to the Commercial Building to check-in for Camping if not checked in at the Gate. Camping reservations can be made at Rider Services in the Commercial Building. Pets are allowed, BUT they MUST BE on a leash and attended to at ALL TIMES. Bathrooms with flushing toilets and showers are available at the Fairgrounds in multiple locations. Please see the map to identify available camping spots, bathrooms, and showers. Saturday and Sunday: Restrooms and showers available for use on the south side of the Grandstands and southeast of the Beef and Dairy Barn. All other times, only the showers southeast of the Beef and Dairy Barn are open.